The fuel blockades may be coming to an end but itll take some days yet before the economy gets back to normal. With dealer roadshows cancelled and some bike deliveries halted, the UK cycle trade has suffered from the lack of fuel but it has also benefitted. Check out the bulletin board for IBDs reporting increased business and heres a piece from todays edition of The Times (best to read it online – www.thetimes.co.uk – because not all areas of the country have had newspaper deliveries today). The ACT gets a plug as does BikeBiz and an IBD (but not York Cycleworks as expected). THE fuel crisis appears to being doing more for alternative forms of transport than years of exhortations by government and green pressure groups. Sales of bicycles are going through the roof as commuters, desperate to avoid petrol queues and overcrowded trains, switch to pedal power. Halfords yesterday reported a 36 per cent increase in cycle sales over the same period last year, with sales of pumps, inner tubes and chains also at an unseasonal high. Nor is it just new sales. Old bikes are being fished from dusty garages and pressed into service. 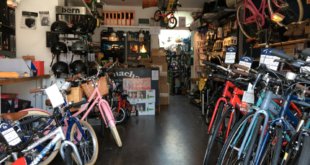 Anne Killick, national secretary of the Association of Cycle Traders, representing 750 independent shops, said yesterday: "People are desperate, and going into their sheds to dig out their old bicycles. They find the tyres are flat, and so are straight down to the shop to buy a pump." 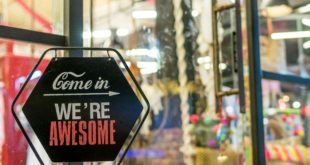 Len Linsdall, of the Raleigh Cycle Centre in East London, also reported a surge in sales, saying: "We have hardly stopped. It has been exceptionally good for a weekday, up at least 30 per cent on normal." Carlton Reid, who runs the trade magazine Bicycle Business, said the fuel shortage could be the key to a cycling renaissance in Britain, but the real test would come in a few weeks’ time, when new cyclists were exposed to their first drop of rain. "Will they just get back in their cars?"